So you'd like to meet us in the office to work on your travel plans or pick up a brochure? professions out of their home offices- we do as well. in wonderful locations like our favorite coffee houses. In fact, we have a few nearby that have private meeting space. It's comfortable, has great food, Wi-Fi and privacy plus is easy to access. Call us to day and we'll happily meet to plan your next fabulous vacation! Modern day travel agents are a little different than you might expect...here's some myth busters. We're not threatened by the internet (clients are more prepared and informed than ever! ), plus it gives us more tech tools to travel with! We haven't disappeared...we're just not on main street or in the malls anymore. We're out there traveling, networking, hosting trips and experiencing this amazing world we sell. We charge a lot of money to work with us. This one always makes me laugh. While there may be agents who do charge large fees for consulting, most of us don't. However, what you might pay for a consulting fee is absolutely worth every penny. Consider that you receive the advantages of our education, experience and networking as well as all the value added extras that our agency gives its clients! Not only are there dollar value extras, but there are all those value added peace of mind, time saving and customer service extras that cant be measured in dollars. So...Whether your hectic life leaves you little time to plan your next great family getaway or you enjoy sharing details of your reading and research...Discover Your World Travel is a THE travel partner for you. Hopefully you've begun to see why the agency is so unique. So, let me tell you how I began in the industry and the skills and passion I bring to my business. I have been blessed to enjoy interesting careers prior to the travel industry that primed me well for this business. Early in my career, I was creatively involved with the catering industry. My passion for the smallest creative details, working in unique environments and serving clients needs during some of their most celebratory moments were parts of this business I still miss today! Later working for the cable industry I pulled together business skills such as Marketing, Human Resources and Accounting. My travel career began in Japan where I had the opportunity to work on a military base. Upon my return to the states, I decided to bring all of my business and personal skills together and formed Discover Your World Travel! During 1999, a home-based business in the travel industry was quite avant-garde but now is a very respected and large segment of the industry. As a travel professional I believe that current education is vital to giving my clients the most extraordinary experiences. Our Hawaii clients receive special amenities, personalized travel guides, welcome package and Aloha Booking Gifts every time they travel to the islands! He may be a rookie in the travel industry (fast earning his "wings") but he comes to the agency as a 23 year veteran of the law enforcement community. He brings a vital first responder perspective to the agency and a fantastic sense of humor! I've chosen the following industry trade organizations to align my agency with because of their strong reputation in the travel industry. ASTA has a code of ethics and is a fabulous community of travel agents devoted to the rights of both consumers and travel agents. They work strongly with government lobbying for passenger rights and are a strong governing body for professional travel agents. NACTA is a fantastic association representing professional home-based travel agents. They work in conjunction with ASTA on many issues but offer additional training opportunities and resources geared specifically for the home-based agent and independent contractor. To bring my clients the very best values, exclusives and travel offers I have joined forces with two companies that you may see listed on packages, documents and websites. They are: Incentive Connection Travel, Phoenix AZ A network of nationwide independent agency owners. Consortium of independent agency owners located in Canada and the United States. 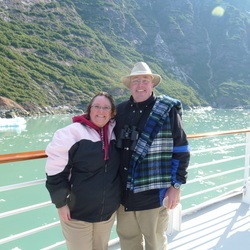 This travel group also offers hosted cruises and tours.